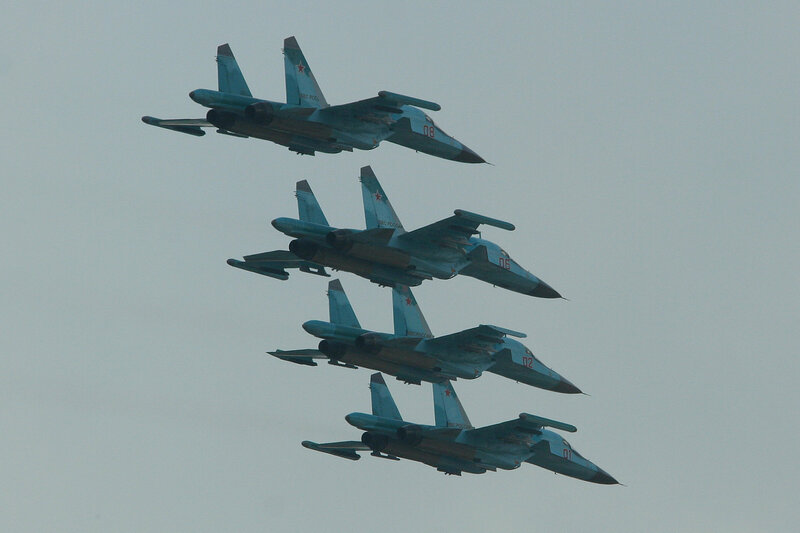 As Russia begins its air campaign against the self-proclaimed Islamic State terrorist group in Syria, the jet responsible is the Sukhoi Su-34 Fullback, Russia’s secret weapon in the skies. Developed in the final years of the Cold War, the Su-34 was meant to replace the Russian military’s aging fleet of Su-24 Fencers. Featuring a robust air-to-air self-defense system, the aircraft is a top-of-the-line strike fighter, and this marks the first time it’s been deployed outside of Russia. Equipped with short-range R-73 dogfighting missiles, the Su-34 also features long-range R-77 air-to-air radar-guided projectiles. In addition, the fighter carries a wide range of air-to-ground missiles. Including the Kh-59ME, Kh-31A, Kh-31P, Kh-29T, Kh-29L, and the S-25LD, these weapons can hit both ground and maritime targets. The fighter also features the Leninets B-004 array radar. Optimized for air-to-ground operations, the system allows for targeting from over 60 miles away. Capable of staying aloft for hours, the Su-34 is outfitted for aerial refueling. This gives the aircraft a combat radius of roughly 700 miles. It’s a fairly large aircraft, with side-by-side seating for the pilots and a 17,600-pound payload. 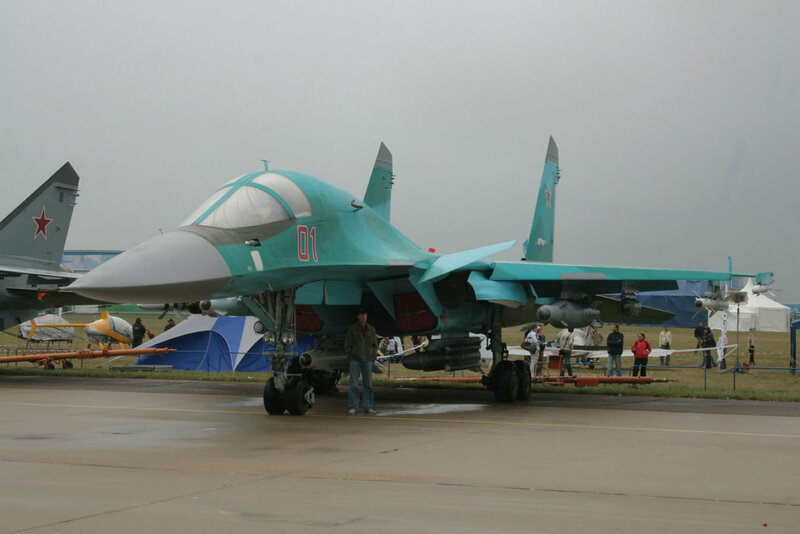 That much weight requires some pretty hefty horsepower to stay airborne, and the Su-34 uses a pair of 27,500-lb. Saturn AL-31F turbofans. In addition to the Su-34, Russia is also operating Su-24s and Su-30SMs in Syrian airspace.